Miryam SAS received her PhD in Comparative Literature and East Asian Languages and Cultures (joint program) from Yale University. Sas is currently core faculty in the graduate group in Performance Studies, Jewish Studies, and the Center for Japanese Studies, and affiliated faculty in the department of Gender and Women’s Studies and the graduate group in Women, Gender, and Sexuality and in the Group in Asian Studies. Sas is the author of two books, Experimental Arts in Postwar Japan: Moments of Encounter, Engagement, and Imagined Return (Harvard University Press, 2011); and Fault Lines: Cultural Memory and Japanese Surrealism (Stanford UP, released in 2001). She has written numerous articles in English, French, and Japanese on subjects such as Japanese futurism, cross-cultural performance, and butoh dance. She is currently beginning a book project on Japanese experimental film and film theory, and working on articles on pink film and Japanese experimental animation. Before moving to Berkeley, she was Assistant Professor of Comparative Literature and East Asian Languages and Cultures at Harvard University. Sas will introduce Hani Susumu's 1968 film The Inferno of First Love on Sunday, February 10th at 5 pm and Terayama Shuji's 1974 film Pastoral: Hide and Seek on Thursday, February 14th at 7 pm as part of the ATG retrospective "Chronicles of Inferno: Japan's Art Theater Guild" at the PFA. Roland DOMENIG was Assistant Professor of Japanese Studies at the Institute of East Asian Studies, University of Vienna. His research focuses on Japanese film history especially Japanese screen practice and early film, independent cinema of the 1960s and movie theatres and film exhibition. 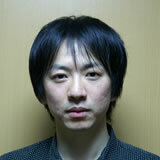 Works also as curator and programmer, film festival consultant, and translator of subtitles for Japanese films. Domenig will introduce Kuroki Kazuo's 1966 film Silence Has No Wings on Thursday, February 7th at 7:00 pm and Hani Susumu's 1963 film She and He on Saturday, February 9th at 8:00 pm as part of the ATG retrospective "Chronicles of Inferno: Japan's Art Theater Guild" at the PFA. FUJIHATA Masaki, currently a professor in the Tokyo University of Arts, is a media artist who works in the field of computer graphics and new media. The works of Fujihata are based on the characteristics of new technology and provoke lines of inquiry into the field of art. His research combines GPS and video to focus on space and time. Interactions between lived space, perceived space, and their representations are essential components of his artistic practice. His current project, Voices of Aliveness, centers around the concept of creating "a space for screaming -- a collection of voices." HIRASAWA Go has written about and programmed many events centered on Japanese political cinema of the 1960s and 1970s. He is co-author of Film/Revolution (Kawade Shobo Shinsha, 2003), A Will: Art Theatre Shinjuku Bunka (Kawade Shobo Shinsha, 2008), a series of interviews with radical filmmaker Adachi Masao and producer Kuzui Kinshiro, and editor of Underground Film Archives (Kawade Shobo Shinsha, 2001), Godard (Kawade Shobo Shinsha, 2003), Fassbinder (Gendai Shicho Shinsha, 2005), Wakamatsu Koji (Sakuhinsha, 2007), Koji Wakamatsu: cinéaste de la révolte (IMHO, France, 2010) and Culture Theory of 1968 (Mainichi Shinbunsha, 2010). Hirasawa will introduce Wakamatsu's 1972 film Ecstasy of the Angels on Friday, February 8th at 7:00 pm as part of the ATG retrospective "Chronicles of Inferno: Japan's Art Theater Guild" at the PFA. IKEGAMI Hiroko is an art historian who specializes in post-1945 American art and its global impact. She received her Ph.D. from Yale University in 2007. Her book entitled The Great Migrator: Robert Rauschenberg and the Global Rise of American Art was published by MIT Press in 2010. She is currently working on post-WWII cultural exchange between the United States and Japan and its relationship to cultural diplomacy in the Cold War period. UNO Kuniichi is a Professor in the Department of Expression Studies at Rikkyo University, an interdisciplinary unit focused on exploring connections between philosophy, art, and embodiment. On graduating from Kyoto University with a degree in French Literature, Uno travelled to Paris to study the work of Antonin Artaud under the tutelage of philosopher Gilles Deleuze. He is one of the foremost experts on Deleuze's philosophy in Japan, and has published Japanese translations of a number of the philosopher's major works, as well as texts by Artaud, Samuel Beckett, and Jean Genet. Uno's own philosophical work draws equally from avant-garde literature and continental philosophy, with a particular emphasis on the relationship between image systems and the physical body. He has published studies of the above writers as well as books on topics including Lafcadio Hearn, the philosophy of history, and image-body relations in cinema. His most recent book, America, Heterotopia, was published in December 2012. YOSHIMI Shun'ya, a leading scholar in the field of Media and Cultural Studies in contemporary Japan, is a Professor of Sociology, Cultural Studies, and Media Studies at the University of Tokyo. He is the author of many books on cultural theory, urban culture, international exposition, media culture, information technology, the emperor system, and Americanization in modern Japan and East Asia. He has been a visiting fellow of El Colegio de Mexico (1993), L'École des Hautes Études Sciences Sociales (1998), University of Western Sydney (1999), and Queensland University (2000). Yoshimi's publications in Japanese include Dramaturgy in the City: A Social History of Popular Entertainments in Modern Tokyo (Kobundo, 1987), The Politics of Exposition: Imperialism, Commercialism and Popular Entertainment (Chuokoronsha, 1992), Cultural Sociology in the Media Age (Shinyosha, 1994), Voice of Capitalism: The Social Construction of Telephone, Gramophone and Radio in Japan (Kodansha, 1995), Expo Syndrome: Postwar Politics and Cultural Struggle in Postwar Japan (Chikuma Shobo, 2005), and Pro-America, Anti-America: Political Unconsciousness in Postwar Japan (Iwanami Shoten, 2007). Yoshimi's more recent works include What is the University? (Iwanami, 2011) and Atoms for Dream (Chikuma Shobo, 2012). SILENCE HAS NO WINGS (Tobenai chinmoku) will be screened at the PFA as part of the ATG retrospective "Chronicles of Inferno: Japan's Art Theater Guild" which will run February 7 - February 27, 2013. Please refer to the BAM/PFA website for further information concerning this special film series. Voices of Aliveness is a work-in-progress by media artist Fujihata Masaki. Fujihata will be presenting a plenary talk on Thursday, February 7th, 2013 during the Media Histories / Media Theories & East Asia conference. The French-language website for his project can be found here. Fujihata's webpage can be found here.